One of the assignments for my Graphic Design course at WPI was to illustrate 2 words from a list of 6 (I think) using only type. We weren’t allowed to alter the shape of the letterforms; for example, one of the words was elephant and we couldn’t draw the word in the shape of an elephant. 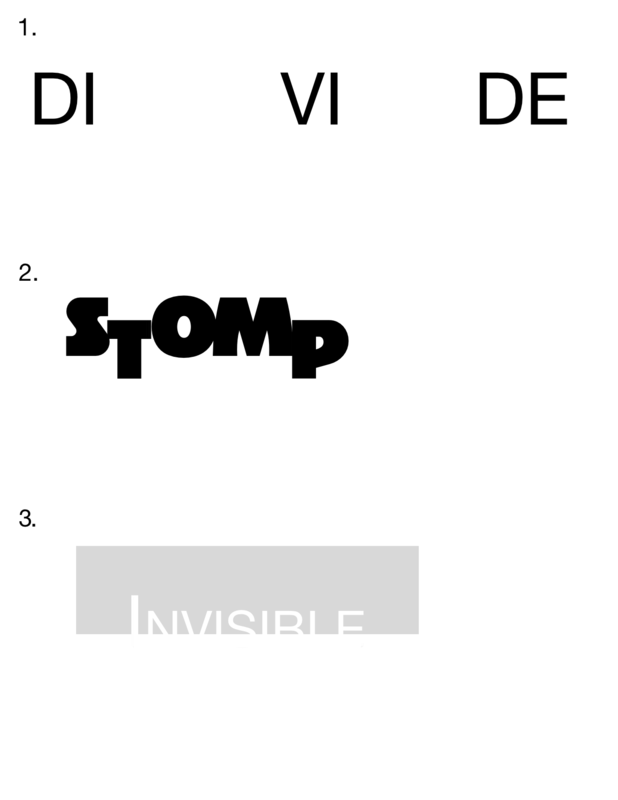 I ended up illustrating three words since I got an idea on how to do invisible.